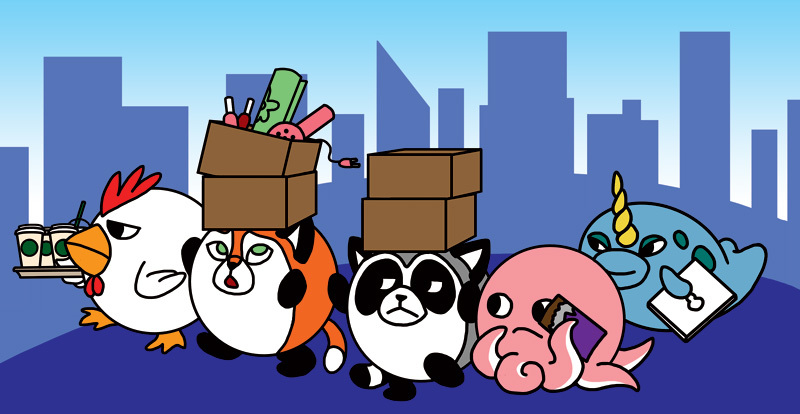 The Fuzzy Five - Moving Day! breakfast: i resent having to carry the coffee. spirit: onoz! the boxes are going to tip! eek! nightshade: frickin’ drama queens, those two. otto: wait, i have eight appendages and all I’m carrying is this candy bar, which I am going to eat anyway? wtf? I love otto he is so cool. But Spirit is the cutest!